Texas is...TexFest and Bourbon Jalapeno Bacon Jam! 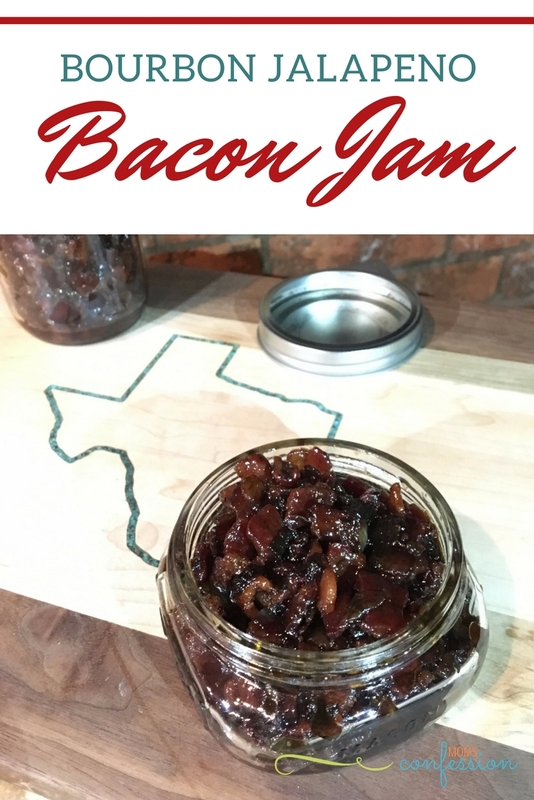 Home » Texas is…TexFest and Bourbon Jalapeno Bacon Jam! some of the nicest southern people you will ever meet. some of the best BBQ in the country. Being born and raised in Texas, I love exploring this state. This past summer, my husband and I took a 3-day whirlwind vacation to the Hill Country and relished in the glow of the Hill Country sun, heritage, and wonders of our home state. The Texas heritage is strong in our state, and we wouldn’t change a thing about it for the world. We are Texans and Texans stand together. The saying, “everything’s bigger in Texas” is true, especially when it comes to our BBQ, get-together’s and family traditions. I like to say “in Texas, we go big or we go home.” It’s a rite of passage in a sense. Our Texas-style events like TexFest at HEB are huge too! HEB is known for keeping local products in their store, but for two solid weeks, HEB packs their aisles with even more Texas products. 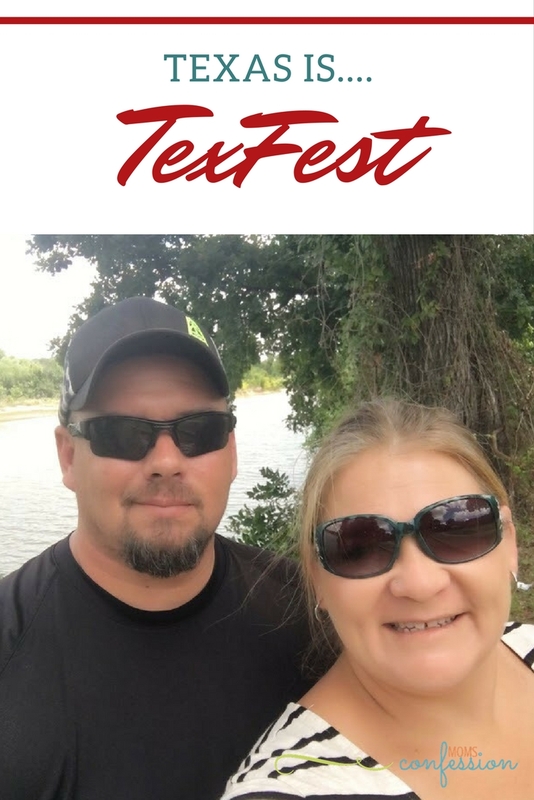 It’s called “TexFest,” an event that’s as big as the LoneStar state itself! Look for the “Go Local” tags throughout the store to explore the amazing flavors our state has to offer. Just like everything is bigger in Texas, so are the flavors. 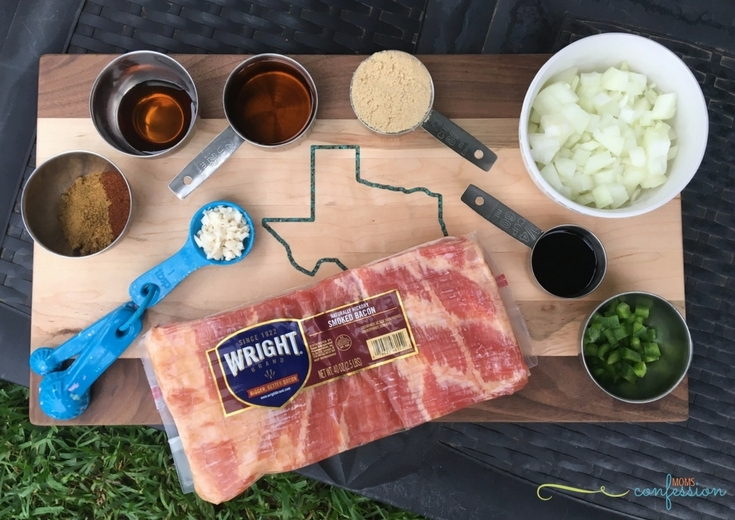 Our local products, like Wright® Brand Bacon have the bold taste that Texans love! Wright Brand Bacon has been a Texas favorite of ours for years because of it’s richer bacon experience! The thick sliced, high-quality cuts of premium meat are naturally smoked in Hickory or Applewood. It is by far the best bacon our state has to offer! 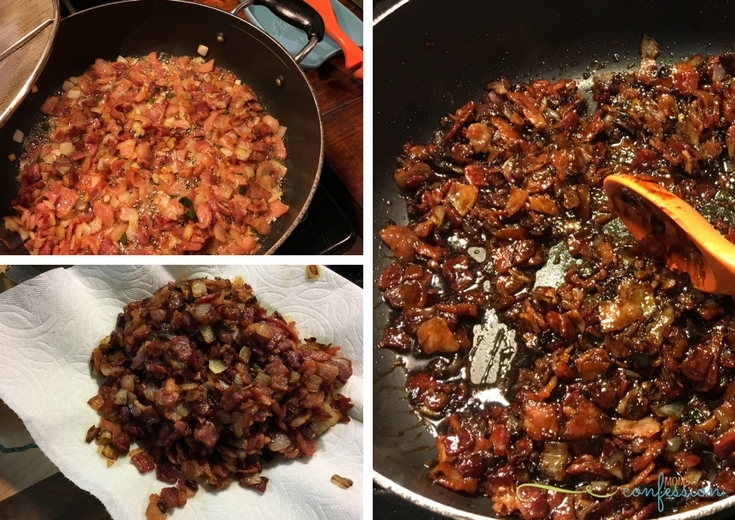 Wright Brand Bacon is flavor-packed and is the simply amazing when you make bacon jam. Save $1.00 off Wright Brand Bacon, 40 oz. 1. Dice/cut Wright Brand Bacon into approximately 1 inch pieces. 2. Dice onion & jalapeño (remove seeds). 3. Cook bacon in a deep non-stick skillet. 4. 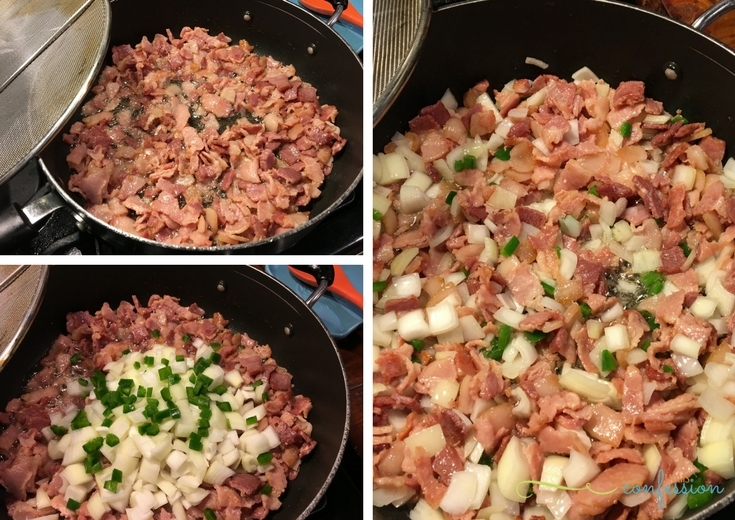 When bacon is almost done, add onion and jalapeño into the skillet. 5. Continue cooking, until bacon is almost crispy. 6. Once the bacon is fully cooked, remove from skillet and allow some of the fat to drain off on a paper towel. 7. Remove all bacon drippings from the pan except for approximately one tablespoon. 8. On medium/high heat, add minced garlic, chili powder, ground cumin, and paprika. Mix ingredients together well. 9. As soon as the ingredients are mixed well, pour bourbon into the skillet slowly. 10. Bring to a boil and cook for 2-3 minutes. 11. Next, add the balsamic vinegar, pancake syrup, and brown sugar into the skillet. 12. Continue cooking on medium/high heat for 2-3 more minutes. 13. Lastly, add the bacon back into the skillet, mix well and remove from heat. 14. Allow the bacon jam to cool and thicken. 15. Store the Bourbon Bacon Jam in a wide mouth mason jar in the fridge. Get the Printable Bourbon Jalapeño Bacon Jam Recipe below. This Bacon Jam recipe is the perfect pairing for TexFest. It’s bacon, but it’s not just any bacon…it’s Wright Brand Bacon, a company made in Texas, Texas proud and a family approved brand. 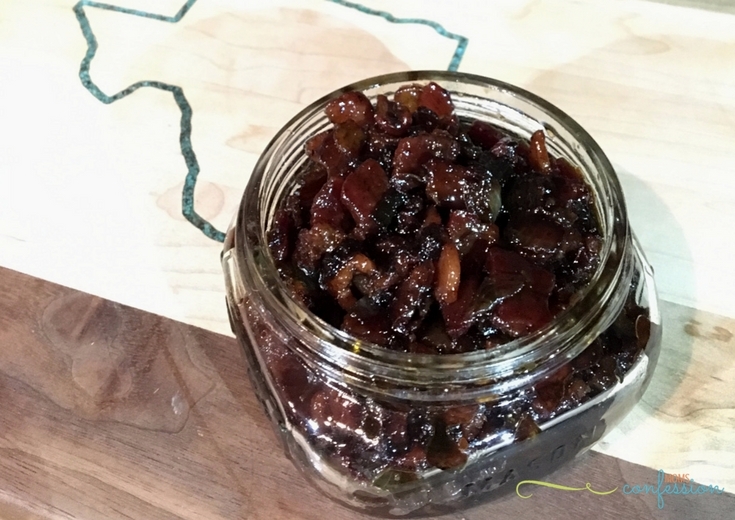 You can use this bacon jam on hamburgers, a juicy medium ribeye steak, on crackers as an appetizer for your next get-together or even in our Broccoli Slaw Recipe. Dice/cut Wright® Brand Bacon into approximately 1 inch pieces. Dice onion & jalapeño (remove seeds). Cook bacon in a deep non-stick skillet. When bacon is almost done, add onion and jalapeño into the skillet. Continue cooking, until bacon is almost crispy. Once the bacon is fully cooked, remove from skillet and allow some of the fat to drain off on a paper towel. Remove all bacon drippings from the pan except for approximately one tablespoon. 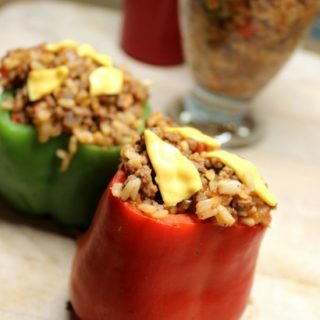 On medium/high heat, add minced garlic, chili powder, ground cumin, and paprika. Mix ingredients together well. As soon as the ingredients are mixed well, pour Bourbon into the skillet slowly. Bring to a boil and cook for 2-3 minutes. Next, add the balsamic vinegar, pancake syrup, and brown sugar into the skillet. Continue cooking on medium/high heat for 2-3 more minutes. Lastly, add the bacon back into the skillet, mix well and remove from heat. Allow the bacon jam to cool and thicken. Store the Bourbon Bacon Jam in a wide mouth mason jar in the fridge.